CPAP systems create two types of noise: radiated noise in the room, and conducted noise through the tube. The S9's Easy-Breathe motor with axial air-flow produces less "turbulence" lowering average radiated sound levels to just 24dBA. In addition ResMed has reduced conducted noise levels through the breathing tube by 78%. 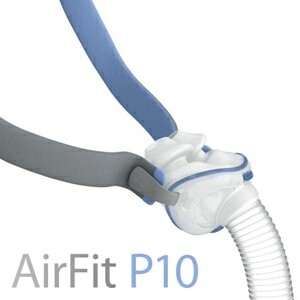 When fully operational the S9 series is no louder than normal breathing! A great sleep therapy system deserves a great humidifier. The H5i Humidifier with Climate Control is just that. The H5i heated humidifier offers relief from dryness and congestion and integrates seamlessly with the S9. Intuitive and easy to use, the S9 automatically detects when the H5i is connected. Using the S9's settings screen you can adjust humidity levels at any time during therapy. The H5i features an adaptive Climate Control system intelligently, adjusts to your environmental conditions, and delivers optimal temperature and humidity right to the mask. 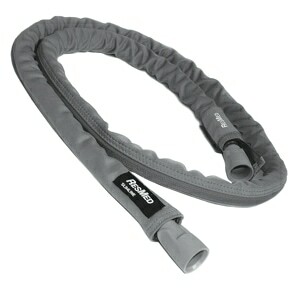 It protects you from rainout without compromising humidity and provides the most comfortable therapy possible. The S9 allows you to view a snapshot of your sleep therapy directly on the device. The S9 ESCAPE stores basic therapy tracking data including hours of use and compliance data, up to 365 sessions, both on the device and the removable data card. In the Package S9 Escape CPAP, Travel Bag, Breathing Tube, Starter Filter, SD Data Card, Printed Users Manual, 90W Power Supply with Cord, 2-Year Manufacturer's Warranty. H5i Integrated Heated Humidifier, ClimateLine Tubing and/or SlimLine Tubing included depending on package selected. 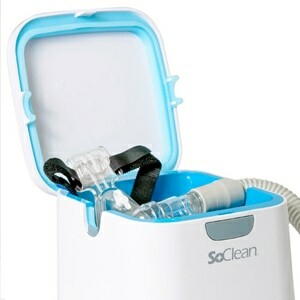 Intended Use The S9 Escape CPAP system is indicated for the treatment of obstructive sleep apnea (OSA) in patients weighing more than 66 lb (>30 kg). 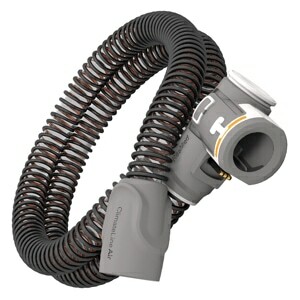 The S9 Escape CPAP system is intended for home and hospital use. S9 Escape is FAA Approved. This product is approved by the FAA for use on all commercial flights within the US and all international flights that depart or arrive in the US. Click here for TSA / FAA information on traveling with sleep and oxygen therapy. Always contact your airline prior to your flight to confirm any requirements they may have (i.e. a copy of your prescription or a letter of medical necessity) for allowing your device on board.